Topic: Memories : University of Wyoming centennial, 1886-1986. Chisum, Emmett D. [Laramie] : University of Wyoming, c1987. ; A history of the University of Wyoming, 1887-1964. Rev. and corrected, with index. Clough, Wilson Ober. [Laramie, Wyo.? : Wilson O. Clough], 1965.; University of Wyoming. (Campus history series) Ewig, Rick and Tamsen Hert. Charleston, S.C. : Arcadia Publishing, c2012. 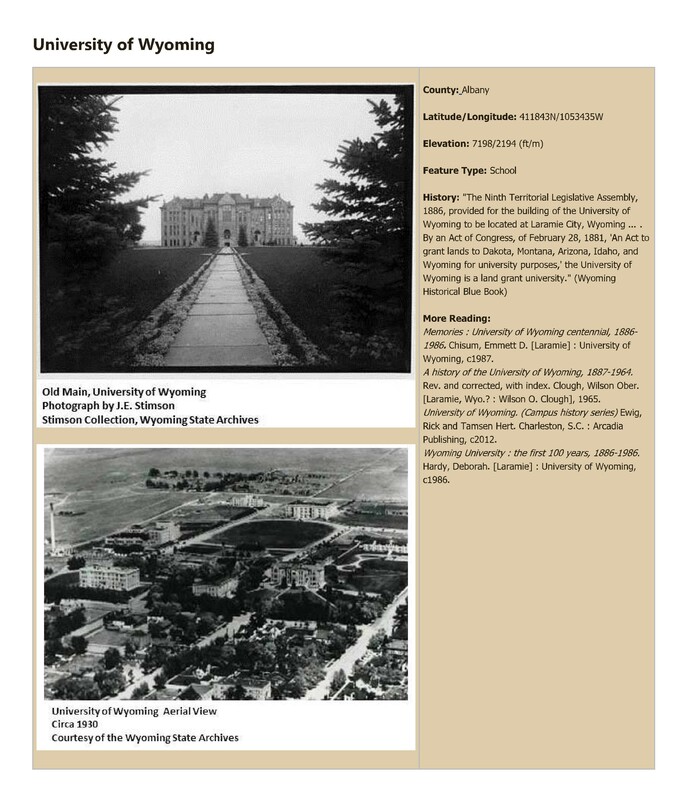 ; Wyoming University : the first 100 years, 1886-1986. Hardy, Deborah. [Laramie] : University of Wyoming, c1986.